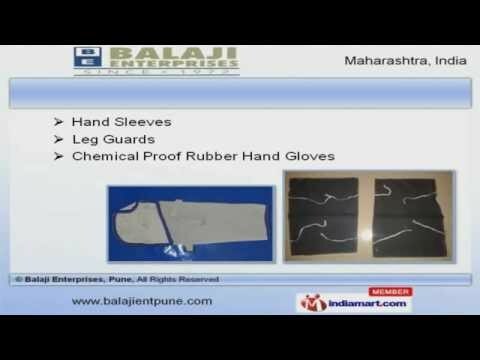 Welcome to Balaji Enterprises, Manufacturer and Supplier of Cotton Rags and Safety Equipments. The company was incorporated in the year 1972, at Pune. Cutting edge technology and highly diligent workforce make us different from others. International quality standards, large product line and competitive prices make us the first choice of our clients. Safety Hand Gloves, Masks and Shoes are some of our products. Our Safety Helmets, Goggles and Belts are available at industry leading prices. Hand Sleeves and Chemical Proof Rubber Hand Gloves offered by us are a class apart. We are engaged in offering supreme quality Safety Aprons and Cotton Rags Products. Along with that we offer Cotton Waste Products, Road Safety Items and Equipments that are some of our best selling products. Our clients can avail from us an exquisite range of Safety Nets and Disposable Items.